It has been a long time since we've had a Swatch-It Sunday! Holy moly! 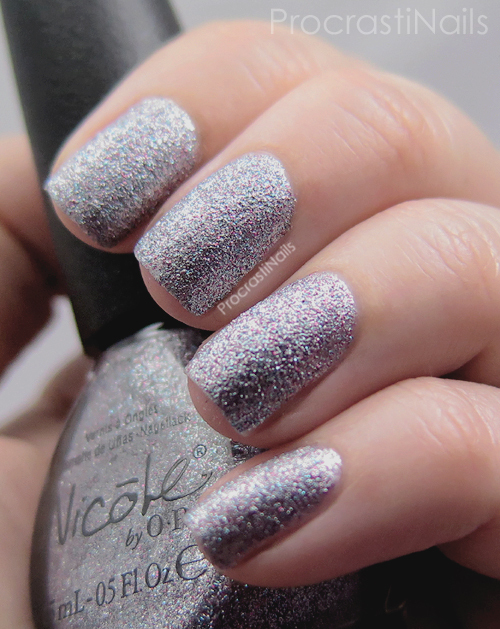 Well I'm working to get myself back on track and this week I have a new Dollarama find to share with you - Nicole by OPI Look at Me, Look at Me! Apparently this shade was originally a Target exclusive in 2012, so it was a good find to come across this past week (especially as Target has been closed in Canada for months at this point, never mind the whole 2012 thing). I gotta say though, I was shocked to apply it and find it was textured! 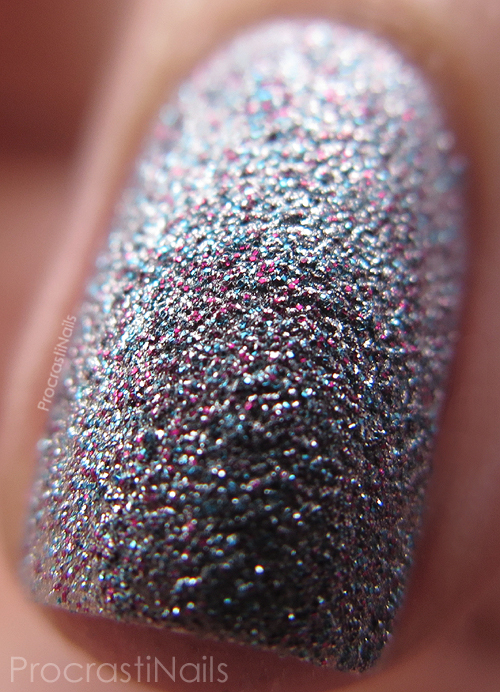 I expected this to be a fun but simple microglitter that could be used as a nail art base so you can imagine my ".... Huh!" when it dried matte and gritty. Not that I mind as I adore textured polishes! 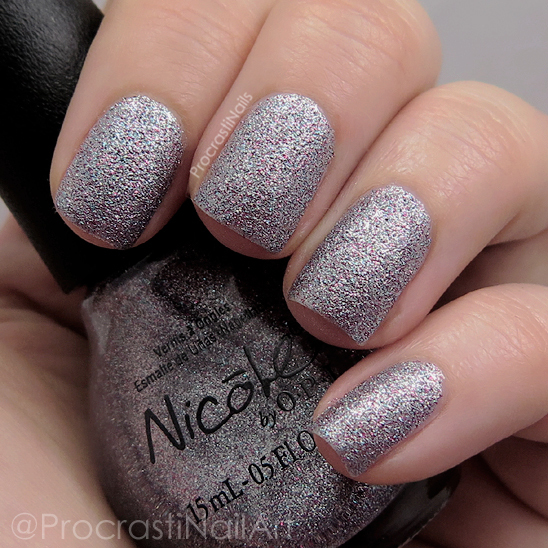 From a distance this looks like a simple silver polish, but when you really look at it you find that NOPE. It's actually an awesome mix of silver, hot pink and blue microglitter! Hot damn! Wow! I really love this on you. Not at all what I would have expected from the bottle. It's lovely! And what a nice surprise that it dried to a textured finish! That close-up, such a beautiful shot! You know, I really like this polish a lot!! And you wear it beautifully! GORGEOUS! I have to dig this out of my stash! Kinda have to keep staring at it, lol!